I'm looking for a KC-100 or WT-100 model, if anyone has one that would like to part with please let me know. X Series / X50 white with floyd? Has anyone seen this version of an X50? I've done some research and only a blue or red version with quilted top has shown up. Hi all, What would be the dimension of the but for a 2.0 N4 nut? would it be R2, R3, R4? will post photos of the newly acquired N4 soon! Thanks for the links Tony. I've seen that silver one on GC a while back, also the one on ebay is the bolt on version with those not very good humbuckers. I'm looking for either the natural finish one or the red or green one. Any one has one that would like to sell? Looking to buy one of these. If you have one that you'd like to sell please let me know. Can any one comment on the difference of these two bridges? Any particular reason why some of these guitars came with either one of these bridges? Thanks for your comments. What would be a fair price for one of these? Since N4 sell for $1000-$1500 I can only assume the Nx6 is around the $1000 with its OHSC although I've seen comments on this forum stating that this would be over priced. 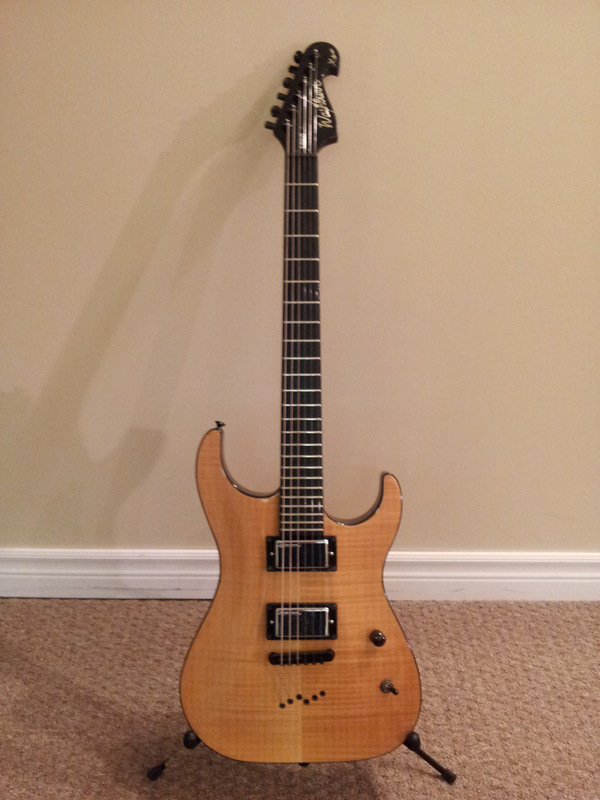 No fellow guitarist who would like share some experiences/comments on the Nx6? I've been looking for an N4 for a while but several things kept me from buying the couple ones I found. A Padauk Nx6 has appeared "locally" but at a significant driving distance so I'm inclined to go for it. I've always loved the N4 but since I'm not a tremolo player the Nx6 seems more of what I would enjoy playing. I would like to know if any one can share some of their appreciations about the neck of the Nx6 and its playability, feel, action, compared to the N4. I'm not crazy about thin necks however I do favor a slimmer neck over thicker ones. How does the Padauk sound compared to alder or swamp ash? Also, any idea on what a reasonable price would be for these? I know they usually have sold for less than $1000 although I saw one gone for 1200 on ebay last year. X Series / Re: X50AJD good deal? 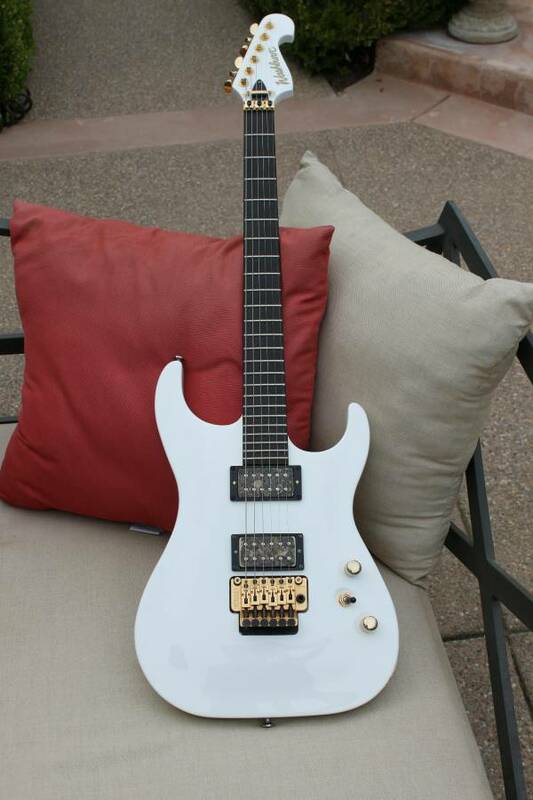 N Series (Nuno Bettencourt) / Re: N4 with 2 knobs? Very true and good and good advice. The N4 is one of my dream guitars, I guess that's why I'm having hesitation about this one as it is not exactly how I wanted it to be. Those holes for the string retainer at the headstock still seem weird as I've never seen an N4 with those. Aside from that, it shows all the characteristics of a Davies. As for the tone control, I never really use the tone so, I guess it's just a matter of preference. I think I'll keep looking to find the dream guitar. Thank you very much for your insights on this. I too thought the guitar is being over priced because of the modifications and the lack of an OHSC. 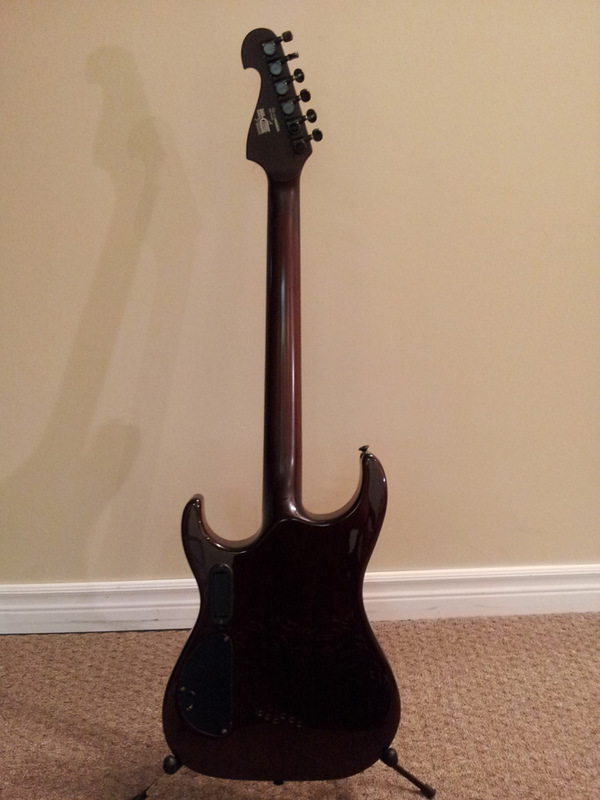 True the guitar could be in good condition and still play well but if one is looking for a specific guitar you want to get that guitar with its original specs right? It was but now whomever is selling it now is selling it for a lot more and not with an OHSC. By the way, I've seen more photos of the guitar and it has some screw holes on the headstock where a string retainer after the locking nut would be. I've been doing some reading and researching and I've never seen an N4 Davies with this retainer, could it be a Japanese model of the N4? 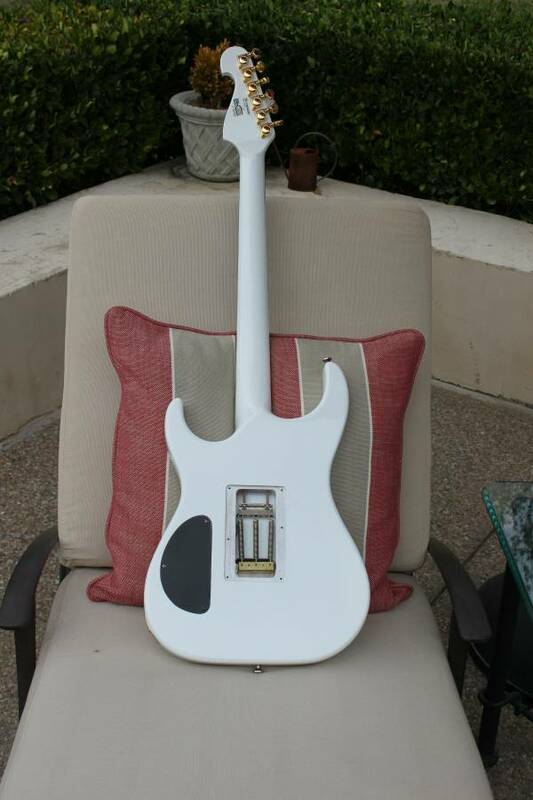 Also the case is not a Washburn so that is another thing that leads me to believe this is not a Davies, the neck has the patent pending and made in usa prints though. The fact that the seller doesn't want to give the serial number is suspicious too. Any knowledgeable memebers of the Nuno brigade want to shed some light on this matter?